Former minister for justice Alan Shatter has won his legal challenge to the findings of the 2014 Guerin Report examining the handling of claims made by a garda whistleblower. Mr Shatter appealed against the High Court's dismissal of his challenge. The Court of Appeal found in Mr Shatter's favour this morning. Mr Shatter claimed Senior Counsel Sean Guerin should have interviewed him before reaching adverse conclusions against him or should have allowed him to respond to draft conclusions. He said Mr Guerin's report had caused him to resign from office the day after it was published in May 2014, and his good name and reputation had been destroyed. 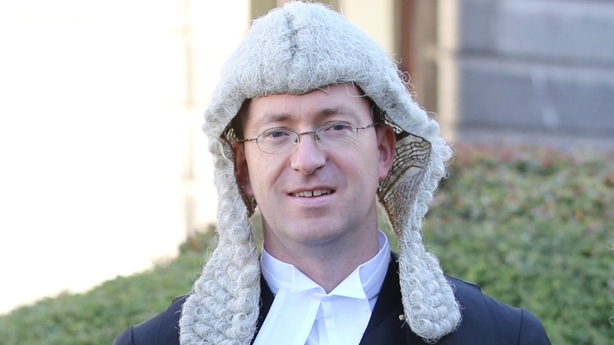 In his ruling, President of the Court of Appeal Mr Justice Sean Ryan said in his view Mr Guerin was obliged to observe the rules of natural justice and of letting the other side be heard. He said there was a breach of Mr Shatter's rights because of the defective procedure that was adopted. Mr Justice Ryan also said Mr Guerin was working under pressure dealing with such a large amount of documentary material under severe time constraint. He said Mr Guerin was in error, but said he was very far from being personally critical of him in the overall context of what he had to do. The matter will come back before the Court of Appeal later this month to decide what orders or declarations the court should make. Taoiseach Enda Kenny said he acknowledged that the court had clearly found in favour of Mr Shatter, but said he had not read the judgment. Asked if he accepted the contention by the former minister that Mr Kenny had indicated he had no confidence in him, prior to his resignation, Mr Kenny said people should read the letter Mr Shatter wrote, setting out the grounds as to why he considered he should retire from office. When asked if he had ignored concerns expressed about the Guerin investigation, the Taoiseach said he would refer questions about this to "the very clear letter that was written by Alan himself". Mr Kenny refused to say whether Mr Shatter was owed an apology in light of the Court of Appeal ruling. He said lots of people lost their Dáil seats at the last election and this was a part of the democratic process. The Taoiseach said the O'Higgins Report had confirmed that Mr Shatter had done his work well. He said he was "fully in favour of his abilities as a minister" and that he gave him full credit for the manner in which he carried out his duties during his time in office. Mr Guerin's report, published more than two years ago in May 2014, was a report to the Taoiseach about how allegations made by Sergeant Maurice McCabe about garda misconduct were handled. Mr Shatter resigned as Minister for Justice the day after the report was published. He claimed the report contained damaging findings and conclusions about him and he was not given any opportunity to rebut them or reply to them. Mr Shatter went to the High Court, to try to have the findings relating to him quashed, but his case was comprehensively dismissed. Mr Guerin had claimed he had been asked to carry out a "scoping report" to decide if a Commission of Inquiry was necessary. The subsequent report by the commission, chaired by former High Court judge Kevin O'Higgins, found Mr Shatter had acted properly at all times. Mr Guerin was given eight weeks to complete his work - it could have been extended if necessary but the Appeal Court said it was not open to him to embark on a process that would greatly exceed the time allowed. Mr Justice Ryan found the Guerin Report made severe criticisms of Mr Shatter in the conduct of his office, which were seriously damaging to his good name. The judge found it was open to Mr Guerin to carry out his work as a documentary review instead of conducting extensive interviews. He was expressly authorised to interview people but not obliged to. He said he did not think Mr Guerin could be criticised for deciding to proceed as he did. But Mr Justice Ryan said none of the points highlighted by the High Court judge in relation to the nature of Mr Guerin's inquiry were a justification for abandoning every element of fair procedures. Time constraints, the number of people involved and the nature of their involvement, and the general nature of the investigative process were all relevant matters when it came to deciding the nature of the protection required by law. He said it was not lawful to decide there was no time or no sufficient time to allow for procedural rights to be exercised. Mr Justice Ryan said that Mr Guerin had been asked to perform a Herculean task. He said it was not easy to see how he could have completed his work in the time permitted if he had conducted his examination in accordance with the full range of fair procedures. But he said that was not what Mr Shatter had sought. The Appeal Court also ruled the report was not just a Senior Counsel's opinion. He said Mr Guerin had been entrusted with an important and urgent undertaking on a matter of national concern. He was entitled to express opinions and make judgments and reach conclusions, the judge found. But there were consequences to whichever course he pursued, the court ruled. There was no obligation to hear the other side in the event of potential criticism, if there was not going to be any criticism of particular people. But the situation was quite different if criticism of individuals was in question. If it was a preliminary scoping report and no more, care was needed to keep opinions and conclusions appropriate to that function and it should not have said this person or these people made errors or should be criticised. Mr Justice Ryan said the danger was that the intended preliminary inquiry might trespass on the remit of the proposed Commission of Investigation and in his view that was what happened in this case. The judge said natural justice and fair procedures are required in inquiries such as that conducted by Mr Guerin, unless there were particular reasons for excluding them. He said Mr Guerin was mistaken in thinking he was under no obligation to ensure the appropriate level of concern for Mr Shatter's position in light of what he was proposing to submit to the Government as his conclusions. He said it must be considered absolutely fundamental that before a person is severely criticised in a significant public undertaking by an eminent person in a report to the Government, about a matter of urgent national importance, that he or she would be given at least some notice of the criticisms and opportunity to comment on them. 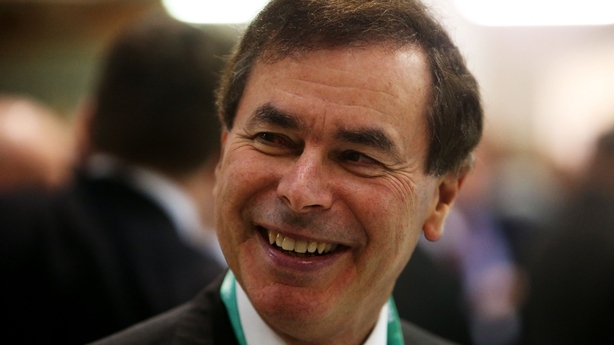 The judge also disagreed with the High Court judge that Mr Shatter could not legally challenge a decision taken by a government of which he was a member. Mr Justice Ryan said he did not think such a position made legal or Constitutional sense and did not accord with logic. He said he also disagreed with the High Court that Mr Shatter's legal challenge was a "collateral attack" on the Commission of Inquiry set up after the Guerin Report. Mr Justice Ryan said the High Court judge had made a legitimate criticism of Mr Shatter about an allegation of bias which Mr Shatter made against Mr Guerin and then later withdrew. Mr Justice Ryan said Mr Shatter was too quick to jump to the wrong conclusion. 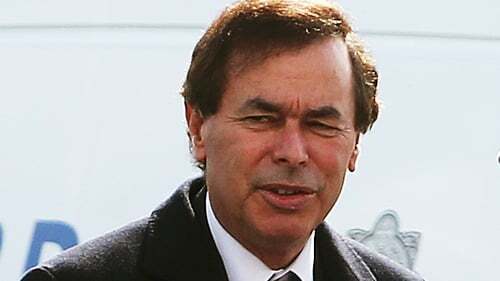 However, the judge said Mr Shatter had withdrawn the allegation, although he could have been more gracious. He said law and justice and protection of human rights do not exist only for those who are moderate, careful and reasonable and ready to apologise when they should do so, and he also found fair procedures are not just there to protect people they are also there to improve the quality of the outcome of the investigative process. Mr Shatter said the Court of Appeal's decision was a huge relief. 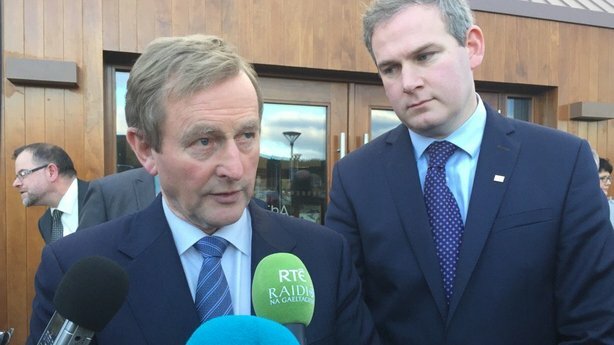 He said he resigned his position after Taoiseach Enda Kenny said he could no longer express confidence in him. The former minister said Mr Guerin made his findings without ever speaking with him or giving him the opportunity to address his concerns. He said he was critical of this to the Taoiseach at the time of his resignation and in the Dáil, but the Taoiseach, and Frances Fitzgerald, his successor as Minister for Justice, had ignored his concerns. Speaking on RTÉ's Six One, Mr Shatter said he believes legislation should be enacted to ensure that there are prescribed rules for the conduct of non-statutory informal inquiries in the future. He said it is hoped, in the future, that no one conducting a non-statutory inquiry would be free to criticise individuals and damage their good name without giving them an opportunity to be heard. He refused to be drawn on whether the Taoiseach should apologise to him, saying it is for the Taoiseach to consider how he should deal with the matter. Mr Shatter said he hopes today's ruling will be an end to the litigation. Earlier, he said the Guerin Report still remained in the public domain despite the report of the O'Higgins Commission of Investigation which totally contradicted the adverse conclusions about him in the earlier report. Mr Shatter said he took the court proceedings to challenge the findings of the Guerin Report which did enormous damage to his good name and cost him his position as Minister for Justice, Equality and Defence. He said this was a job he loved and a position he felt privileged to hold. He said he had no doubt the report's conclusions had also contributed to the loss of his Dáil seat earlier this year. However, he said he had also challenged the report to make sure that in future no one conducting a non-statutory inquiry would be free to criticise individuals and damage their good name without affording them an opportunity to be heard. He said the Court of Appeal ruling had upheld and reaffirmed important constitutional values, central to our constitutional democracy. Mr Shatter thanked the judges and his legal team. He said he particularly thanked his family and close friends, saying the value of their support over the past two very difficult and stressful years could not be overestimated.